Discussion in 'SWNN News Feed' started by SWNN Probe, Feb 1, 2019. 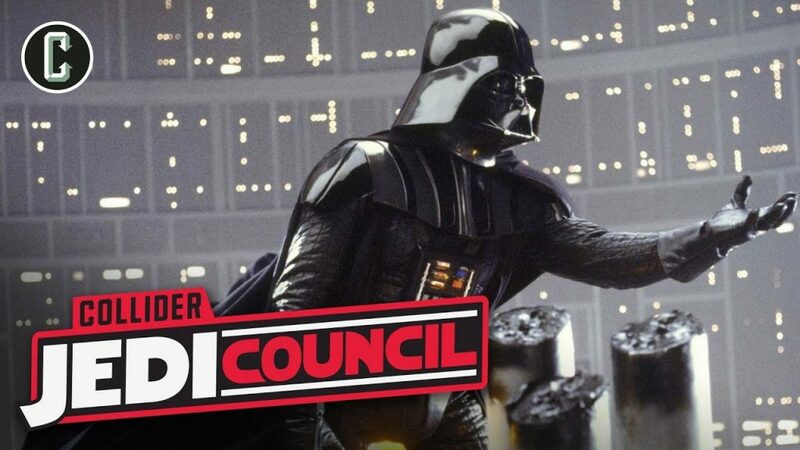 On today’s Collider Jedi Council , Kristian Harloff, Ken Napzok, and Kim Horcher answer your questions and discuss these topics: Star Wars: Episode IX – Anthony Daniels wraps filming as C-3PO; All signs indicate that a Star Wars: Episode IX Super Bowl teaser is NOT happening; Star Wars: Episode IX set photos suggest a new snowy planet will be showcased in the film; The original Empire Strikes Back script shows Darth Vader wasn't supposed to be Luke's father; What’s the deal with canon? Variety’s excellent deep dive article focusing on Disney’s plan for their Disney-Plus streaming service and the Star Wars properties they are focusing on; Jon Favreau teases classic Star Wars droid R5-D4 in The Mandalorian; Doctor Aphra #28 and more! Collider Jedi Council airs on Collider Video's YouTube channel live on Thursdays. Great episode & lots of news.